Christie’s is reinforcing its Asian operation with the recruitment of Simon Tam as its first ever head of wine in China. Tam will be based in Hong Kong and report to Charles Curtis MW, who has moved from New York to lead Christie’s wine sales in Asia. 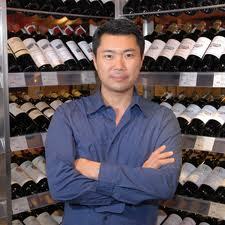 Tam was founder of the Independent Wine Centre in Hong Kong and Shanghai as well as founding chairman of the Greater China Wine Critics Association and co-founding director of Cathay Pacific Hong Kong International Wine and Spirits Competition. He is fluent in English, Cantonese and Mandarin, and will be responsible for developing Christie’s wine sales in Asia, with, according to the auction house, particular focus on client relationships in Greater China.